Laminate is no longer just a common, no-nonsense countertop covering offering a smooth, practical, easy to clean work surface at a sensible price. With the amazing new imaging technology, it now offers the look of exotic wood grains, stone or metal at a fraction of the price! Whether you prefer the natural look of wood or stone, or the effect of colors and geometric patterns produced by artisans, you'll find a long-wearing laminate to accomplish your decorating ideas within the budget you've set. 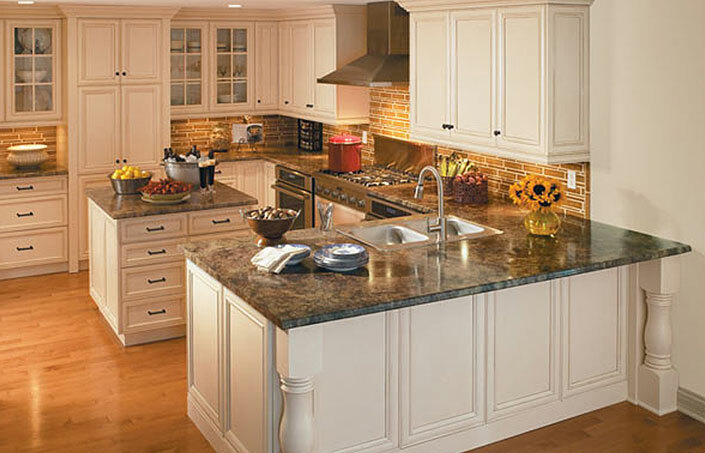 Make your kitchen a clean, sensible and yet beautiful and inviting work area with a laminate surface, edge and backsplash!